'He's a bully, that's all he's ever been, right? He hits me and he shoves me and he makes my life a living hell. In which a girl has been bullied by a tattooed blonde boy for as long as she can remember. It's long, i know, but please read? "I'll be okay." She answered. The pair stayed silent for a few seconds, "Is that what you want me to say?" "Is it some huge secret? I know I'm a reject," I shrugged as I said the words and turned to walk away. Kara Jennings had always stood out among her class. So it was no new thing to her when she moved to Australia. People gave her weird stares and shoved her into lockers for being the "new girl," but Kara was used to it. However, she wasn't used to having attractive popular boys pay any attention to her. But Luke Hemmings, the most perfect human being Kara had laid eyes on, was paying very close attention to her indeed. And she didn't know how to talk to a boy, much less him. Luke Hemmings was the exact opposite. Every night was filled with parties, getting drunk, and sleeping with a new girl. When Charlie moves across the world to Sydney Australia, she's in for a huge surprise from her new neighbor, Luke. Will Charlie lose her good girl reputation or completely change Luke's? What happened to my bestfriend? 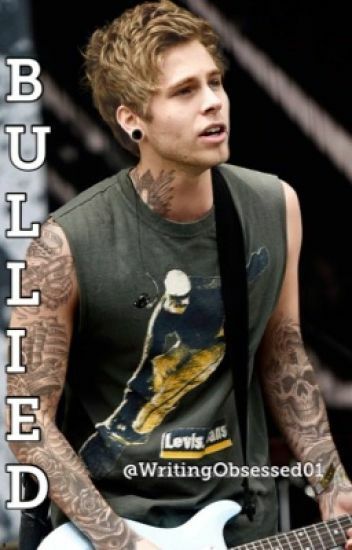 Bad Boy Luke Hemmings Gets Dared By His 3 Mates To Ask Out Miss Unpopular Lucia, Will He Actually  Fall In Love With Her? Will He Break Her Heart? Danielle "Dani" Winchester is going through a rough patch in her life. Her mother has been diagnosed with cancer, she has to constantly care for her 5 year old sister and school is like her own personal hell. The reason? Luke Hemmings, the resident bad boy and her best friend's step brother. He drinks, he smokes, he doesn't seem to care about anyone or anything. That is, until she finds herself the object of his affection. Don't comment if you're gonna be a prick about the characters or story. If you don't like it, stop reading it. "Woah, what happened over the summer to you babe?" He smirked, his stupid friends giggling behind him. "You've changed." "I guess I decided to go get hot." I raised one eyebrow and looked him up and down, "obviously not everyone made the decision to do that over summer." Mila Mills was always the one at the back of the class, the loner who sat with her head in a book and no friends around her. Fast forward 8 weeks of summer vacation. She's dropped 20 pounds, dyed her hair and got a nose piercing. And now the bully that taunted her for years wants her. Luke Hemmings was the boy everyone wanted, including lil' invisible Sophie.Sophie was the sweet, shy and innocent girl no one noticed. But what happens to Sophie's world when THE Luke Hemmings asks her on a date? I don't know, read to find out. She's a loser. He's popular. She has nothing. He has everything. Until one day a music class brings them together. And she falls. The question is; will he be there to catch her like she hopes?